The change of seasons is a time when I’m particularly susceptible to these two foes. I start seeing all that is in-between and half done. The chipped and peeling paint on the deck. The fence falling down in the back yard reveals itself as the flowers die back. The dining room that has had a coat of primer on the walls for the past year grates on me as I think of the coming holidays. I find myself becoming dissatisfied everywhere I look. Despite the fact that I’m intellectually aware I’m more wealthy than most of the people in the world, I can easily find myself emotionally discontent with my worn out and sagging-in-the-middle sofa or unfinished floors. This is when I know I have a choice. To choose gratitude or grumbling. 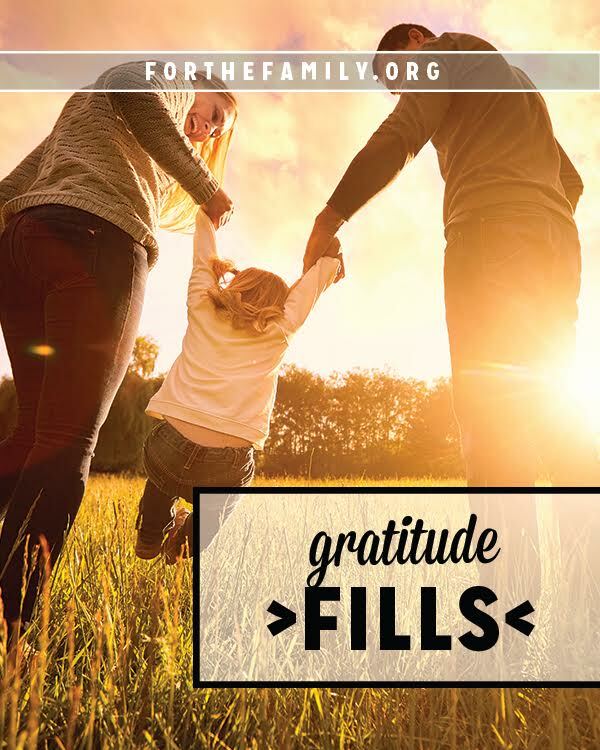 To be thankful for a warm safe house, clean drinking water pumped into my kitchen faucet, a comfortable bed, nurturing food, and a healthy family. To really see all the blessings that are mine that I too often take for granted. I want to be filled, not drained. I gather up the catalogs and throw them into the trash. There is indeed an ugly side of our pursuit of beauty, order, and organization which is materialism and discontentment. But it would serve us well to ask God why it is that we tend to value these attributes in the first place. The answer I think, would surprise most of us. It is simply that our love of beauty, order, and organization are the result of our desire for our Creator arising form shared nature with Him who is all that is genuinely beautiful and all that we know as true order and organization. It is the direct result of original sin that the true nature and source of our desire for beauty and order is obscured from us. It is often said that we as human beings are beset by a fallen nature. If we are really talking about what is genuinely our nature and not the corruption of our pursuit of communion with God, this is entirely false and rises from a misunderstanding of what our true nature with respect to God actually is. Our true nature can never be corrupted to be other than that of our Father since He created each of us not only for Himself but more importantly, from Himself. The very reason why Hell is such a torment to the damned is because those who reside there are eternally separated from the one desire of the human heart which is God. What is actually corrupt about us is our pursuit of communion, or failure thereof, with God which allows us to ignore and depart from the pursuit of Him for which we were created and which each of us passionately desire. We each, because of our nature tend to love, value, and pursue beauty because these are primary attributes of the one who created us for Himself both here on earth and in Heaven. As His creation we simply tend to desire and pursue that which arises in and from our Creator. Our Adversary wishes nothing more than to corrupt our pursuit of desire for for God alone. The next time you find yourself longing to see order and beauty in your life that you believe does not exist there, make the acknowledgement to God that what you desire above all else is actually a passion for the beauty and order found only within Him. Apprise Him that your sole desire in seeking out beauty and order is one of pleasing Him without measure or impediment. By offering yourself in vulnerability to Him in this manner you will soon find yourself becoming immersed in the genuine beauty and order found only within Him. By our embrace of Him and not of His creation, we may each be encouraged and sustained in our constant and uninterrupted communion of gratitude with Him. Remember that overseeing it all is a God who knows us well because He made us from Himself, He does not love us in spite of our faults or our embrace of misperceptions, but loves us unconditionally without even regard for them. This is the victory of Jesus we may fully embrace if we will only choose. He is not only very, very good, He is all that is good because all that is good is embodied within Him. Once our God living within us begins to rise at our approach of gratitude to Him, nothing whatever will ever again be empowered to impede our response to the vision of genuine beauty and order found only in Him. Our embrace of Him as the sole author of beauty and grace will begin to lead us directly into the communion with Him we each have so long desired and for which we were born. Because of our true nature, this is the one desire of our hearts, leading us surely through the trials and vulnerabilities of our lives here on earth and seamlessly into Heaven.